June of 2006 came to me with a diagnosis of leukemia. We have blood test evidence that symptoms began to manifest decades earlier. It is likely that due to the situation I would have not made it to the time of a correct diagnosis without the health advantages of juicing. I believe the cancer progression was slowed to such an extent, as a result, that it gave me extra time I needed to learn and research health topics related to symptoms as they progressed. At the time of diagnosis I was prepared to develop a successful protocol that eliminated all symptoms within a period of months. I am well now, five years later, without ever resorting to any conventional treatment. Juicing of organic carrots is something I will not compromise. It is an absolute fact that I will not miss juicing for more than a day or two and that is on rare occasions. Even on vacations I make sure I have a juicer available. My grandmother gave a little Braun juicer to me for Christmas about 37 years ago. I still remember the nutrient rush experienced for the first time from drinking organic carrot juice. I gave that little juicer to a friend when my grandmother passed away about eight years ago as I inherited her Acme centrifugal juicer. I am not sure if these things ever wear out. I can't think of a better investment you can make in life even if grandma doesn't send one your way. For the last five years I have been using a Welles juice press along with the centrifugal unit to get the most juice from the extracted pulp. This unit pays for itself over time. These units provide REAL nutrition that is priceless. I have become very proficient in the art of research. That is how I saved my life. When I purchase a product, I look diligently for the best value anywhere in the world. 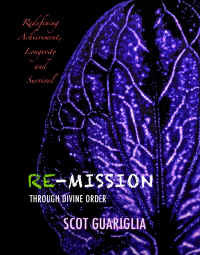 It is no accident that I listed DiscountJuicers.com in my new book "Re-Mission Through Divine Order" as the place to acquire a new unit. Their service in providing the Welles unit was wonderful and the unit continues to delight me to this day. The power of nature, she wins out every time. Honor her and she will support you. My grandma loved me unconditionally and made a tremendous difference in my life. Love yourself. Get a juicer. You deserve it.